Below you will find all of my personal projects that I have created over the past year. I thought that with the most recent season of Red vs. Blue coming to a close, that it would be fun to make a small and simple statistical infographic that displays some fun and relatable results. While this infographic is very simple, it’s something that I hope a lot of you will find fun to browse and maybe inspire others to do something better than what I created. Rooster Teeth has grown and evolved since its beginnings in 2003. For a company that began as some friends playing video games while drunk, to now being a competitor to Netflix, they have hit many milestones. From its growth, other ideas began to take shape. These ideas turned into Achievement Hunter, The Know and FunHaus (and many others). I have limited the scope of this timeline to just RT, AH, The Know, and FH since it would have been too much to reasonably fit. I wanted to bring together some important moments in Rooster Teeth history, many of which I believe were foundational in forming the company into what it is today. While I can't hit on every milestone that Rooster Teeth has achieved, I hope that I at least focused on some of the most important ones. Due to the constant harassment that Gavin experiences at the hands of Achievement Hunter about how much he is actually worth, I thought it would be fun to design a simple shirt that shows how much Gavin is actually worth in USD. My information was pulled from the always reliable and accurate celebritynetworth.com and the content pulled in from Let's Play Sky Factory Part 6. Jeremy Dooley has taken it upon himself to assign bird noises to the common scores while playing Golf with Friends. 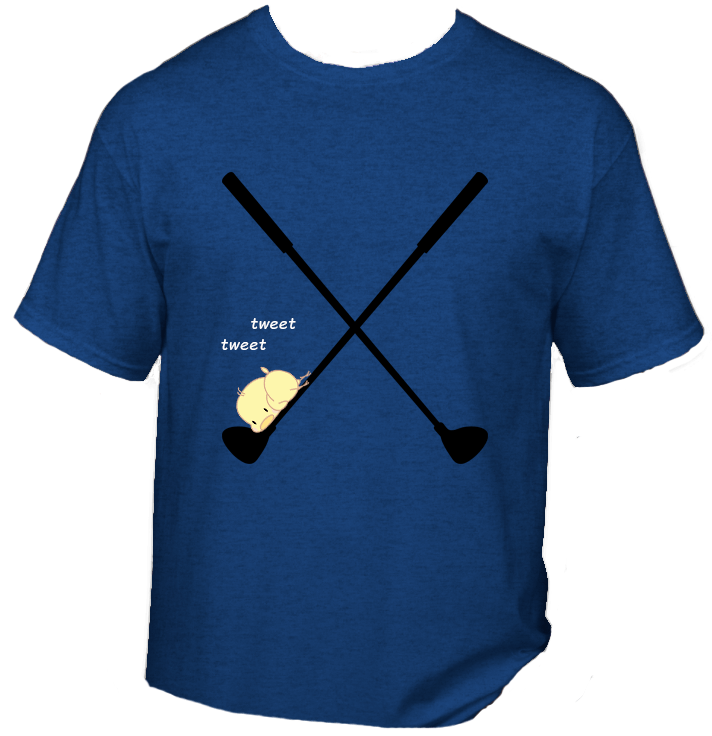 For example, when someone gets a birdie, it is accompanied with a tweet tweet noise. Or, if someone gets an eagle, its the sound of a screeching pterodactyl uppercutting a T-Rex. So, I decided to design a birdie shirt. If you are a fan of Rooster Teeth or Achievement Hunter, then you are also probably familiar with a video that came out a few years ago, called How to Edit a LP as told by Achievement Hunter employee, Trevor Collins. In this video, Trevor goes through his routine of editing a Let’s Play video using the software Adobe Premiere CC 2015. I've converted Trevor's video into a guide.